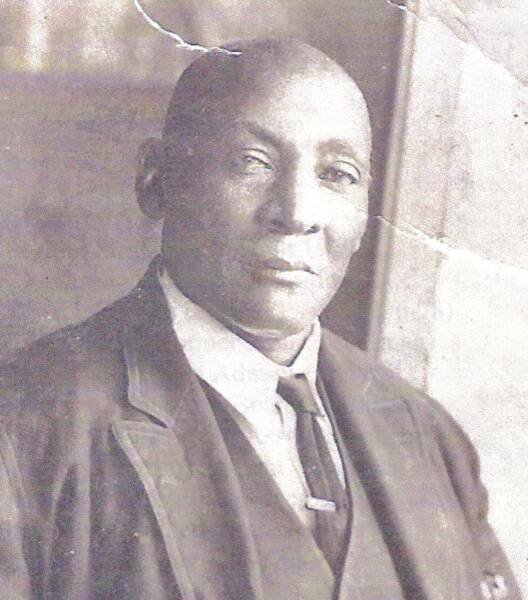 Ralph (Raf) Young was born about 1850 in Bayou Rapides Parish and married three times. On June 19,1869 he married Nancy Matthews on the Sousans Plantation and their children are listed below in bold black roman numerals. I. William J. Young who was born about 1866 married Kitty Stewart who was born about 1868. Kitty was the daughter of Cecie Johnson who was born about 1820. William helped rear several of his sibling after his mother Nancy Young passed. His sibling were James, Ella, Diana and two nieces Adelia and Jane Jackson. William J. Young was pastor at Live Oak Baptist Church located at 2539 Harrison Street from 1916-1933. He also owned a home at 2307 Harris Street in Alexandria. 2. James Young born December 1891 married Beatrice Batiste on July 21, 1923. 4. Nannie Young born December 1896 who married John Hall on October 29, 1917. John was the son of Anise and Eley Hall located at 2244 Mason Street. 5. Ora J Young status unknown. 7. Mathilda Young born 1910 married Henry Brady in 1924 they son of Robert and Maria Brady. 8. Celie Young born 1908 married Preston Pervis on March 16, 1918. 9. Atlanta( Lanty) Young was born about 1910 in Rapides Parish Hot Wells Ward 8 and married Bernice White who was born about 1913 in Selma Louisiana, and was the daughter of William White and Janie Roberson. Bernice appears to have been married several times. Her first husband was Mylus Miller Senior with whom she had two children. Lanty Young was her second husband, and Wilson Bethea Junior was the third husband with which she had one child. 1. Samuel Taft Young born about April 10, 1955 and died October 19, 2006. 10. Bernice Ann Miller Winston Bethea was born December 17, 1934 and died May 30, 1997. Bernice was the daughter of Mylus Miller Senior and the granddaughter of William White and Janie Roberson. VII. Ella Young was born about 1884 in Louisiana Bayou Rapides ward 8 was born about 1852 and died before the 1900 Census. Ella Young was sixteen years old and residing with her oldest brother William Young and his family who was born about 1870 and married Kitty Stewart. 1. Ella Shorter born 1909 status unknown. 2. Lloyd Shorter born 1913 married Mary L Coleman . a. William Shorter who died October 28, 1928 and was a Private in the 161st Depot Brigade. 5. Bertha Shorter married Rev. Vannie Brown on February 24, 1927 who was the pastor of Antioch Baptist Church. 1. Jane Gibson born 1908 status unknown. 2. Mildred Gibson born 1913. IX. Lilly Young our grandmother was born about 1892 on Bayou Rapides Parish Ward 8 at Archinard Place. She married Louis Dorty( Williams) on February 8, 1906 who was the son of Jerry Williams Senior and Milly Dorty. Lilly and Louis had twelve children, for more information about them, click the Dorty-Williams link above.